Got into it this year. Anyone else into this? Best board game ever. I’m more of a Dark Scorch Canticles guy. That seems a little too D and D for me. But in this version of D and D you can catch herpes from hookers, overdose on cocaine, and get a record deal. That is unless an ogre steals your van with all your band’s equipment inside. 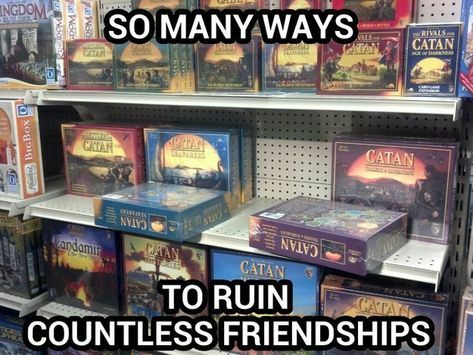 Catan Knights and Cities may be as close to a perfect board game as has ever existed. You have to balance development and defense and not misallocate resources while being a little lucky. Perfect microcosm of the settler's dilemma.